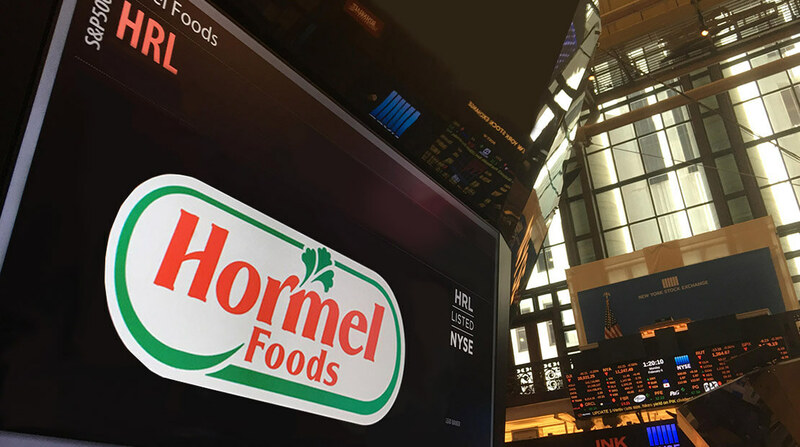 Hormel Foods Corporation (NYSE: HRL) will issue its earnings release for first quarter before the markets open on Tuesday, February 22, 2011, and will discuss those results as part of its presentation at the CAGNY (Consumer Analyst Group of New York) Conference at 1:45 p.m. EST. The presentation will be webcast live and a replay will be available after the presentation beginning at 3:45 p.m. EST. Jeffrey M. Ettinger, chairman of the board, president and chief executive officer, and Jody H. Feragen, executive vice president and chief financial officer, will be presenting at the conference. Tuesday, February 22, 2011, before the market opens. To listen to a live webcast of the presentation, go to the company’s website, https://www.hormelfoods.com, and click on Investors. You will find a link to the presentation at the top of the page. If you are unable to listen to the live webcast, an archived version will be available at the abovementioned website for 90 days following the presentation. Hormel Foods Announces Webcast Of CAGNY Conference Presentation Hormel Foods invites interested investors to listen to its presentation at the CAGNY Conference on Tuesday, February 22, 2011, at 1:45 p.m. EST.